The quotation, “trolls, bots and dictators”, comes from an essay on why to quit Twitter, but more generally it could be considered a summary of how social media and particularly its dominant study have evolved over a few short years, though the order could be changed around. If one considers the chronology of research, one could begin with the dictators and especially the debunking of the naiveté and euphoria associated with the web's potential. Instead of emancipatory, the web became authoritarian, with Shirky's web supplanted by Morozov's. Post-Snowden, the surveillant state (and corporation) became the lamentably preferred object of study, rather than the connective action behind social movement power. 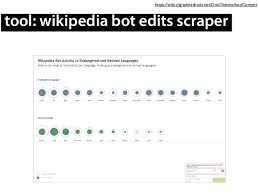 With respect to the second term, bots, studies of automation that depart from the Microsoft experiment of Tay to the so-called computational propaganda that includes autonomous agents inflating follower counts and thus symbolic power, are also proliferting compared to critiques of metrification and later datafication. Trolls in themselves were once tolerated as part of the landscape like an otherwise strong European democracy might be said to have tolerated a small right-wing party. But the idea that studying the “earnest” web for social causes and civic initiatives misses the “ambivalent” web of insincere mockery is a recent turning point. We now turn to that ridiculing web as worthy of study, even if it provides it with more "oxygen". Initially a misapplication of the term, scholars now also study the other 'trolls' seeding national media systems with disinformation, and whether consumers of the online junk actually believe what they share. This current state of the web and social media is the starting point for this year's Summer School, including how its study may be productively oriented. 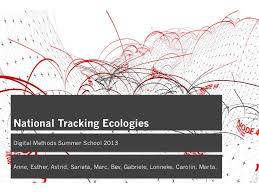 The Digital Methods Summer School is exploratory and experimental. It is not a setting for ‘just’ tool training or for principally tool-driven research. Substantive research projects are conceived and carried out. Participants are encouraged to ‘span time with their issue’ and the materials. In other words, we heed Alexander Galloway’s admonition about data and tool-driven work: “Those who were formerly scholars or experts in a certain area are now recast as mere tool users beholden to the affordances of the tool — while students spend ever more time mastering menus and buttons, becoming literate in a digital device rather than a literary corpus.” We encourage device and corpus literacy! The device training we ask you to do prior to the Summer School through online tutorials, and at the Summer School itself, in a kind of flipped learning environment (if you'll excuse the overused phrase), we would like to believe that you have familiarised yourself already with the tools (and are driven, to complete the thought). During the Summer School we will discuss and tinker with the nitty-gritty, aim to invent new methods, techniques and heuristics and create the first iterations of compelling work to be shared. Alexander Galloway (2014)." The Cybernetic Hypothesis," Differences. 25(1):107-131. See page 127. Digital methods is a term coined as a counter-point to virtual methods, which typically digitize existing methods and port them onto the Web. Digital methods, contrariwise, seek to learn from the methods built into the dominant devices online, and repurpose them for social and cultural research. That is, the challenge is to study both the info-web as well as the social web with the tools that organize them. There is a general protocol to digital methods. At the outset stock is taken of the natively digital objects that are available (links, tags, threads, etc.) and how devices such as search engines make use of them. Can the device techniques be repurposed, for example by remixing the digital objects they take as inputs? Once findings are made with online data, where to ground them? Is the baseline still the offline, or are findings to be grounded in more online data? Taking up these questions more theoretically (but also practically) there is also a Digital Methods book (MIT Press, 2013) as well as a complementary Issue Mapping book (Amsterdam University Press, 2015). Doing Digital Methods (Sage, 2019) contains teaching materials. 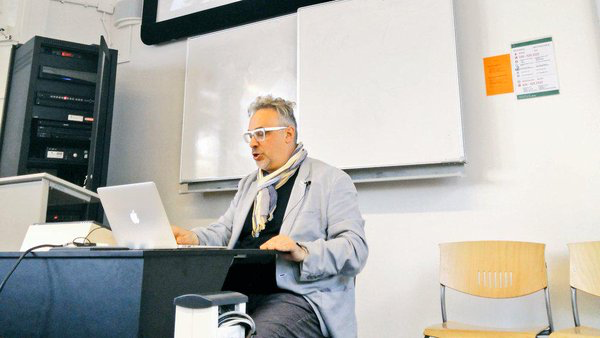 The Digital Methods Summer School, founded in 2007 together with the Digital Methods Initiative, is directed by Professor Richard Rogers, Chair in New Media & Digital Culture and Department Chair at Media Studies, University of Amsterdam. The Summer School is one training opportunity provided by the Digital Methods Initiative (DMI). DMI also has a Winter School, which includes a mini-conference, where papers are presented and responded to. Winter School papers are often the result of Summer School projects. The Summer School has a technical staff as well as a design staff, drawn from the ranks of Density Design in Milan. The Summer School also relies on a technical infrastructure of servers hosting tools and storing data. In a culture of experimentation and skill-sharing, participants bring their laptops, learn method, undertake research projects, make reports, tools and graphics and write them up on the Digital Methods wiki. The Summer School concludes with final presentations. Often there are subject matter experts from non-governmental or other organizations who present their analytical needs and issues at the outset and the projects seek to meet those needs, however indirectly. Please see previous Digital Methods Summer Schools, 2007-2018, https://wiki.digitalmethods.net/Dmi/DmiSummerSchool. 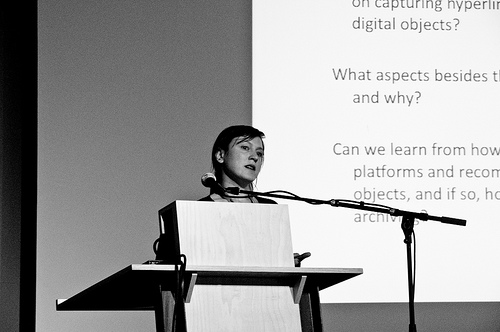 See also previous Digital Methods Winter Schools, 2009-2019, https://wiki.digitalmethods.net/Dmi/WinterSchool. The Digital Methods Initiative was founded with a grant from the Mondriaan Foundation, and the Summer School has been supported by the Center for Creation, Content and Technology (CCCT), University of Amsterdam, organized by the Faculty of Science with sponsorship from Platform Beta. The Digital Methods Summer School is self-sustaining. 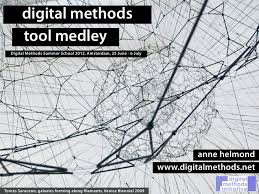 To apply for the Digital Methods Summer School 2019, please use the University of Amsterdam Summer School form. If the form is not working, please send a one-page letter explaining how digital methods training would benefit your current work, and also enclose a CV (with full postal address), a copy of your passport (details page only), a headshot photo as well as a 100-word bio. 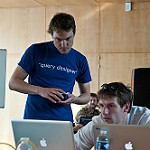 Mark your application "DMI Training Certificate Program," and send to summerschool [at] digitalmethods.net. The deadline for applications for the Summer School is 20 May 2019. Notifications will be sent on 21 May. Any questions may be addressed to the Summer School coordinators, summerschool [at] digitalmethods.net. Informal queries may be sent to the email address as well. The Summer School costs EUR 995. Accepted applicants will be informed of the bank transfer details upon notice of acceptance to the Summer School on 21 May. The fee must be paid by 30 June. University of Amsterdam students are exempt from tuition and should state on the application form that they wish to apply for a fee waiver and provide their student number. 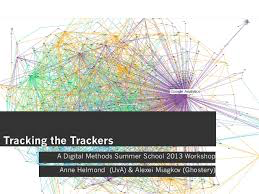 The Digital Methods Summer School is part of the University of Amsterdam Summer School programme, which has materials giving a flavor of the Summer School experience. Students from universities in the LERU and U21 networks (outside of the Netherlands) are eligible for a scholarship to help cover part of the cost for tuition (EUR 500). Please indicate that you are a member of LERU or U21 when applying. 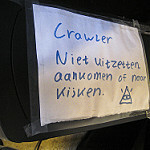 The Summer School is self-catered, and there are abundant cafes and a university mensa nearby. For a map we made of nearby lunch (and coffee) places, see http://bit.ly/lunchandcoffee. Apply as early as possible to the reasonably priced Student Hotel. Here are the instructions for asking for a discount, UvAMediaStudiesXTSH2019_AMSCity.pdf. To successfully complete the Summer School and receive a Completion Certificate (and 6 ECTS), you must complete a significant contribution to two Summer School projects (one in week one and the other in week two), evidenced by co-authorship of the project reports as well as final (joint) presentations. Templates for the project report as well as for the presentation slides are supplied. The Summer School meets every weekday. Please bring your laptop. (An iPad is not enough.) We start generally at 9:15 in the morning, and end around 5:30. There are morning talks at the beginning of each week, followed by hands-on tutorials. All other time is devoted to project work with occasional collective and individual feedback sessions. On the last Friday we have a festive closing. For your Summer School to be especially successful we would recommend highly that you watch (or listen to) the Digital Methods tutorials. The DMI YouTube channel has copious materials, and we would very much like for you to watch the social media tool tutorials. We shall have a list of summer school participants and make an old-fashioned Face Book with the headshots and bio's you send to us. Amsterdam suggestions for the evenings.